School librarians around the US use this website to “trick” their students into doing research about this compound, only to watch their eyes open wide when they realize it’s just water! When this happens, the students are at first pleased with themselves for figuring it out, and then a little sheepish, as they realize how gullible they often are. Just like students are learning to read and think critically in their school libraries, adults – many of whom didn’t grow up with the internet at their fingertips, so aren’t used to the flood of information currently available – must also read carefully and consider the source! Every new “fad diet” that comes out may be based on proven scientific information… or it may simply be based on some new theory that a charismatic leader has decided to push out to the public as a way to make money. Besides, some diets are right for some people, and other diets are right for other people. So deciding if something is not only accurate and research-based, but also relevant to YOU, is critical. One of the most important places where you really have to read and think carefully is the grocery store. All those food labels can be pretty misleading! For instance, if it says, “made with whole grains”, you may think it’s ALL whole grains, when in actuality, it might be just a pinch! It may also say,“multi-grain”, and you think it’s literally that: made with a variety of grains. But it could simply be a variety of refined grains. Because it can be so tricky to understand both labels, and what the latest fad trends are, I encourage you to get professional advice. I know you don’t have time to sort it all out; that’s my job! And I’d love to be able to help you figure out what works best for you. 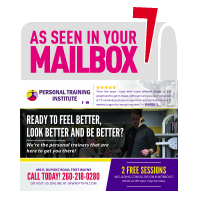 If you’re ready to sort through all the tricks and noise out there, so you can get healthy and fit faster, I invite you to look into Personal Training Institute. I’ll give you my honest opinion about what health and fitness plans are best for you.